It seems very strange to see a railcar carrying a Soyuz spacecraft. It “brings it to a launchpad” where it will be launched into space. Some of the spacecrafts will carry astronauts to the International Space Station, while others carry supplies such as machines. The spacecraft is made up of two different parts, the capsule and the rocket. Once the spacecraft is at the launchpad there are many people who work around it. They do many things like “load the rocket with fuel.” The rocket also has to “carry oxygen because there is no air in space” for the crew to breathe. The crew members smile and wave before they board the capsule. Very soon after it will be time for their blastoff into space. At the liftoff you can see watch as the rocket “shoots out flames as the engines burn fuel.” It begins to rise into the air with a force that “is called thrust.” It has to work against gravity, a force that tries to keep it on the Earth. The spacecraft “travels more than 4 miles (7 kilometers) per second to reach space,” where there is less gravity. You’ll also learn about the sections or stages of the spacecraft, what happens when they fall away, what atmosphere is, how the capsule orbits Earth, what gravity does to a spacecraft, how long the crew stays in space, and you’ll learn many other interesting things about space vehicles and how they work. This is a fascinating book about space vehicles young students will love. The layout of the book is quite vibrant with full-color photographs that show a spacecraft taking a train ride and then to an orbit and re-entry to Earth. The captions offer additional information to the reader. For example, one showing a spacecraft at liftoff says “The rocket also shoots out flames as the engines burn fuel.” Newly independent readers can tackle this high interest, beginning nonfiction chapter book with a minimum of assistance. 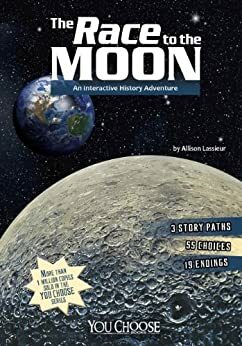 In the back of the book is an index, a glossary, some fun facts, a diagram of the parts of a space vehicle, and additional recommended book and website resources to explore. There are free, complimentary educational resources on the publisher’s website. Quill says: The "How Flight Works" series is an excellent series that curious beginning nonfiction readers will devour!